Now in their 6th successful year, the Payments Awards recognise card and payments excellence and innovation. Winning entries come from those companies, individuals and organisations who have launched and/or implemented the most outstanding payments solutions, initiatives and projects during the past year. 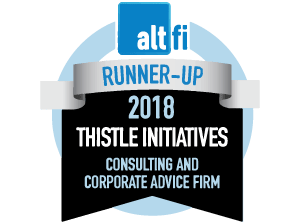 Thistle Initiatives are proud to be an official sponsor of the Payments Awards 2018. Good luck to everyone shortlisted!